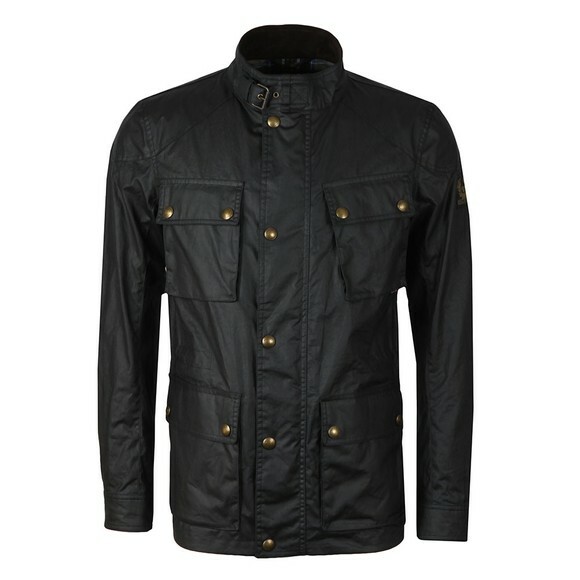 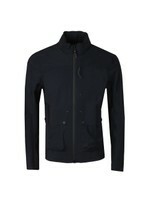 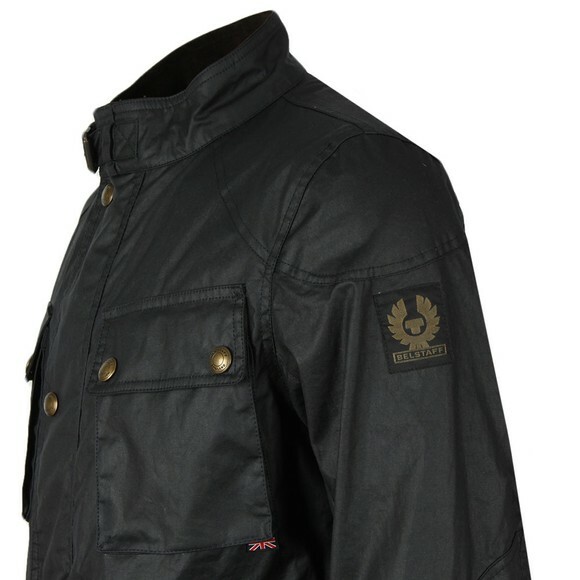 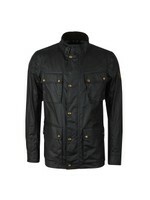 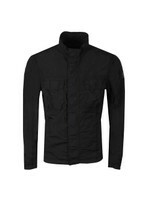 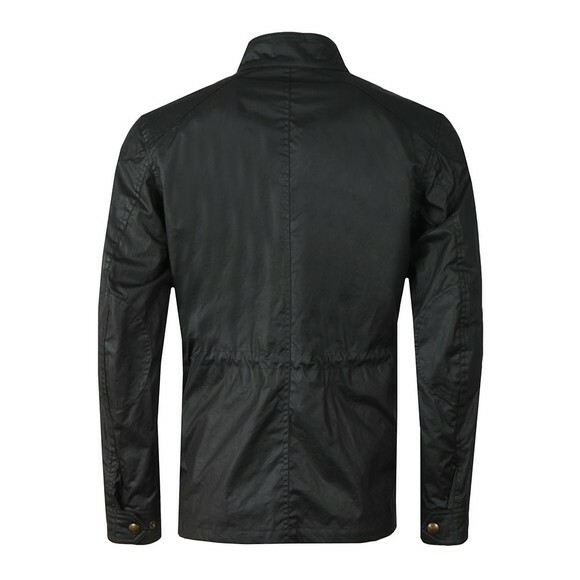 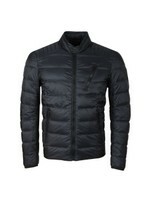 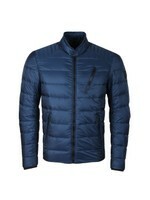 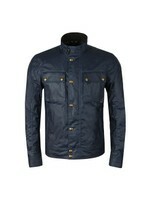 Belstaff Fieldmaster Wax Jacket in Dark Navy. 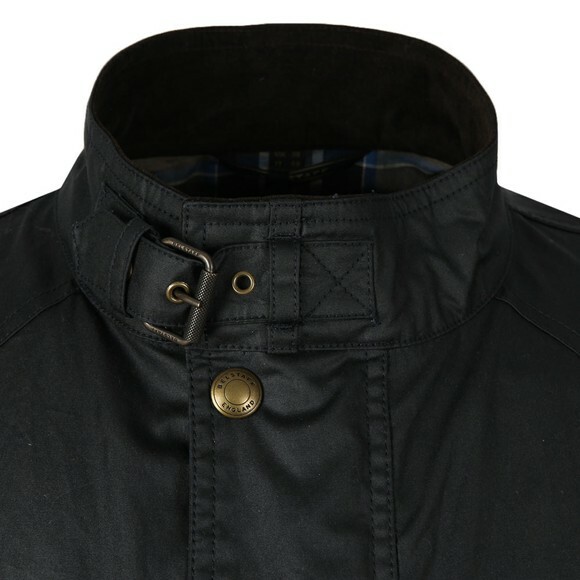 A design inspired by original military field jackets that needed to be practical and hard wearing and given a 6oz wax coating. The waxing makes the jacket water and wind resistant, a feature that is also helped by the press stud placket. 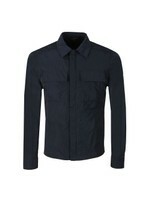 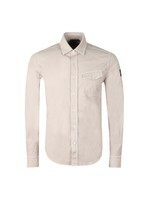 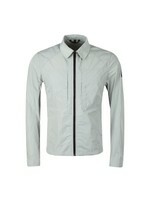 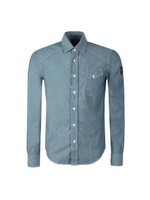 Four utility pockets are added to the chest and waist with the left chest slightly slanted. 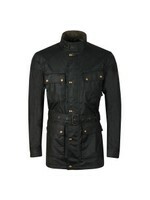 All the metal work has Belstaff branding embossed including the neck buckle. Finished with a badge to the left sleeve.